Increased access to the sea, financial assistance for elderly fishermen and special schemes for fisherwomen were some of the demands put forth by fishermen from across 851 villages in six districts of Odisha who had gathered here to celebrate the World Fishery Day. A seminar titled “Protection of marine ecology and coastal environment” was jointly organised by the Odisha Traditional Fish Worker’s Union, VIEWS, United Artist’s Association and Coastal Council on the occasion. Agriculture Minister Pradeep Maharathi inaugurated the event and assured all possible help from the State Government. He said that Odisha is the only State to launch a comprehensive fisheries development policy. He highlighted the provisions of different welfare schemes meant for the fishermen community in Odisha. He emphasized that the demand for the development of the marketing infrastructure has been looked in to and he is very hopeful that it would be a reality. Health Minister Atanu Sabyasachi highlighted the significance of marine ecology in the context of coastal environment. 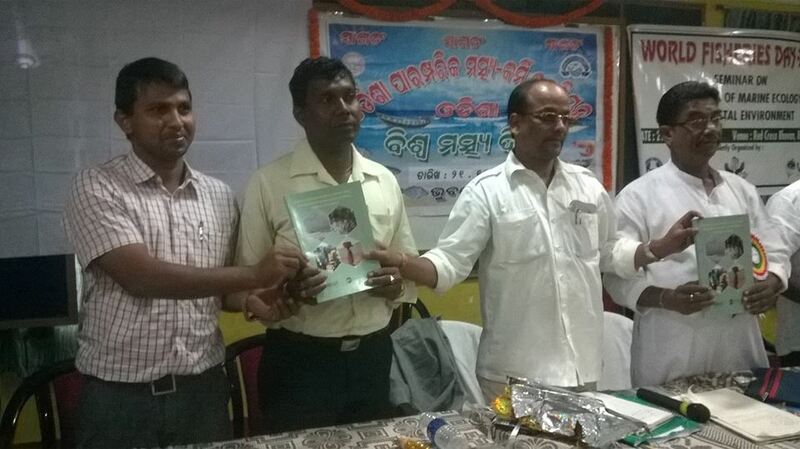 Non-profit organization VIEWS released a study report on “Coastal Livelihood Security of Marine Fishing Communities in Ganjam District of Odisha: Issues and Challenges”. Participating fishermen from the districts of Ganjam, Puri, Jagatsingpur, Kendrapada, Bhadrak and Baleswar also urged the Minister for policy changes for the betterment and sustainable livelihood of the fishing community. The Odisha Traditional Fish Worker’s Union in the coastal area pointed out the facilities provided by the Tamil Nadu Government. The members urged that the restriction over fishing in the radius of 20 km from the coast be reduced to 10 km. Sea erosion was also a major concern and was discussed by the participants. The State Government was requested to solve the problem with the required infrastructure development.